At Camp Bow Wow Katy, we believe every dog should have a loving fur-ever home. We work closely with local shelters and rescues to help with their adoption efforts, and often have foster dogs staying at Camp. These dogs get to play all day with other Campers, snooze the night away in individual Cabins, and get lots of love and attention from our Certified Camp Counselors®. Adoption Information: Chandler is our newest foster from www.specialpalsshelter.org. 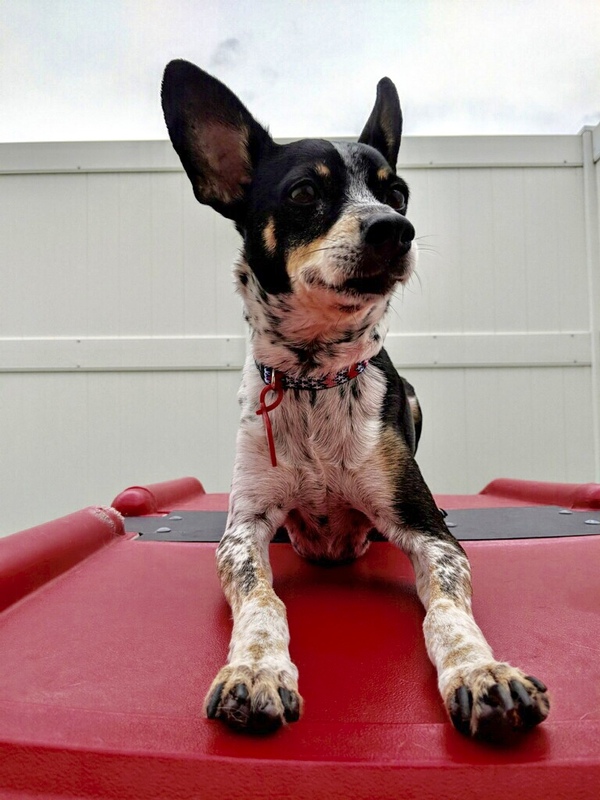 He is roughly 6 year old rat terrier mix and was recently returned to the shelter after being adopted in 2016. His owner has passed away and he is looking for a new furever home! He does great with kids, loves treats and likes to snuggle.